This week I’m into historical fiction, courtesy of the inexpensive books found at our local Goodwill Store. My current reading is a book titled Devil’s Brood by Sharon Kay Penman. It is the third in the author's Eleanor of Aquitaine series. Fiction based on facts about of King Henry II and his family. This family is tearing itself apart as his four sons reach adulthood. 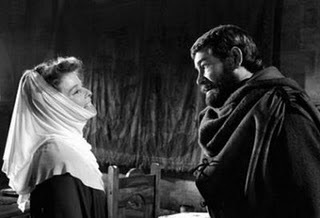 Henry sees Eleanor first as his wife and Queen. Then as the Duchess of Aquitaine. She sees herself as the Duchess first and then as his Queen and wife. Their sons Hal, Richard, Geoffrey and John each have their own ambitions and desires. A family tragedy is writ large around marriage, child-parent relationships, sibling rivalries, ambition, betrayal and just plain greed. The historical facts and descriptions of the 12th century ring true to me. Even more compelling is the author's psychological fine tuning of the main characters motivations. The dialogue is often riveting. I’ve been trying to recall other novels I’ve read about the medieval period in European history. One of my all time favorites does come to mind. That is Ken Follett's The Pillars Of The Earth. The story of the building of a great gothic cathedral had a vibrancy all its own. Another was the story of the life of Sir Christopher Wren and the building of St. Paul’s in London . 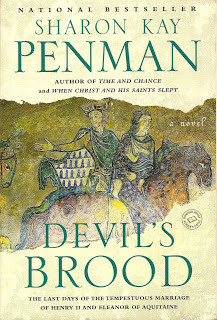 The author of Devil's Brood certainly knows her history and is a wonderful writer. 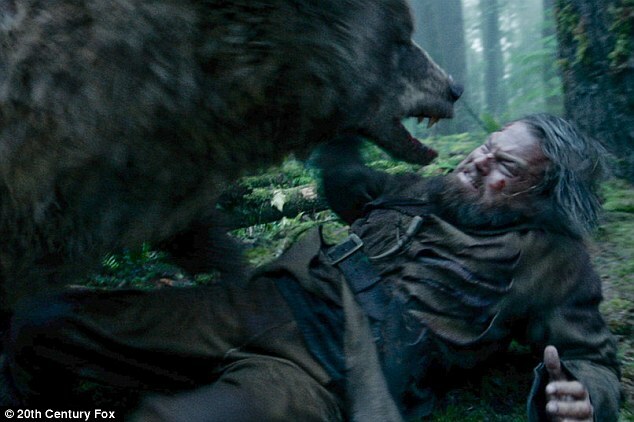 The Revenant is a just released American epic western adventure film directed by Alejandro González Iñárritu. 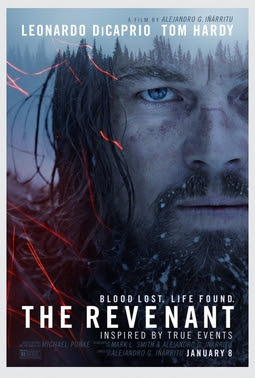 Written by González Iñárritu and Mark L. Smith, based in part on Michael Punke's The Revenant: A Novel of Revenge, the film is inspired by the experiences of frontiersman and fur trapper Hugh Glass. Set in 1823 Montana and South Dakota, the film stars Leonardo DiCaprio as Glass, and co-stars Tom Hardy, Will Poulter, and Domhnall Gleeson. The plot is essentially a survival story under extreme circumstances which includes mostly unfriendly Indians (with good reason), harrowing mountain terrain and raging rivers and waterfalls, not to mention fierce storms and blizzards plus a really ticked off grizzly bear protecting her cubs. Whew! That all that got my attention enough to make my once a year trip to see a movie. 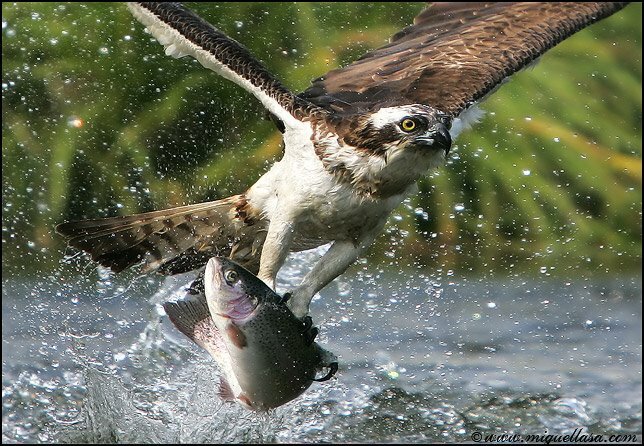 The fact that the drama was filmed in Montana and Canada also was attractive due to my many fishing trips into those mountain environs. So how does it all add up? Oscar Winning movie If this movie wins the Oscar the competition must be really bad. 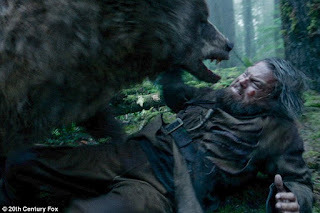 But if you liked Robert Redford in Jeremiah Johnson, Revenant is that movie on steroids. In conclusion I expected Mrs. T. to close her eyes a lot and she says she did it only once. Some thing about a misbehaving bear. Overall I'll give it a B! Near Aurora, Minnesota, a major environmental-industrial dispute exists. The Anishinaabe tribe wants the two hundred acres of great white pines that are sacred to them as "Old Grandfathers" protected from the lumber industry. Karl Lindstrom's lumber mill resides on the edge of the forest and he is not known for his conservation methods. As is the case in many local arguments, outsiders come marching in to join the Native Americans protesting the cutting down of the trees. 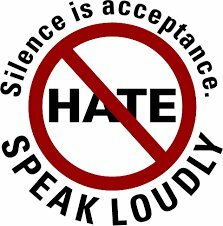 However, all hell breaks loose when someone blows up the mill, killing a Native American employee. The industrial moguls blame the Anishinaabe tribe and the law agrees even though someone named the Eco-Warrior claims credit for the deed. 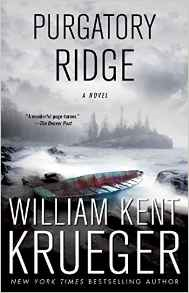 PURGATORY RIDGE is an exciting ecological thriller that keeps the suspense and action at high levels throughout the tale. When the story concentrates on the central theme of conservation vs. development, the plot is as good as it gets. In those circumstances, all the key characters seem genuine in their beliefs. When the story line spins into sidebars like the ransom kidnapping it appears as if a plot device has been used to add unnecessary tension to an already strong novel. Of course any good mystery needs some misleading clues and there are more than a few in this one. 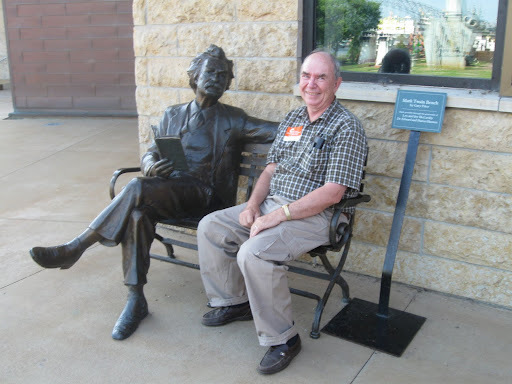 Award winning William Kent Kreuger has written a tale that will appeal to more than Minnesotans who like a good local setting in their mysteries…. Some of the other in the series with sheriff Cork O’Connor in charge include BOUNDARY WATERS and IRON LAKE. Within the last several months I've been following my interest in American History by reading books on the Civil War with a focus on the role of Minnesota troops. 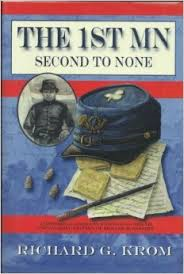 One of the best is by local historian Richard Krom and titled The 1ST MN SECOND TO NONE. Here I was able to journey through the Civil War, along with Edward Bassett, the young farmboy from the Minnesota frontier, who rushes immediately to join the defense of his country. He encounters all the dangers and struggles that he and his comrades in The First Minnesota Volunteer Infantry Regiment faced. While not a complete story of the war the book follows that regiments participation in the many famous battles and skirmishes that defined them as one of the most celebrated and honored of the Army of the Potomac. They were known as "The Regiment that never runs." And they never did from Bull Run to Gettysburg. 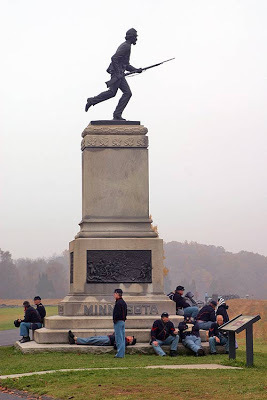 They saved the day at Antietam, charged into a wall of whistling death at Gettysburg, where ordered to fill a gap in the Union line by General Hancock, this band of brothers faced six times their number and stopped the rebel advance. What makes this book special is that it consists of over two hundred previously unpublished letters of the young pioneer farm boy Ed Bassett to his parents, siblings and friends back in Minnesota. These letters and the accompanying narrative provide an illuminating look into the daily life of the common soldier, both in camp and on the battlefield. In explicit detail they reveal the elation, humor and sorrow of the soldiers toward the war and their longing to return to their homes. I loved it. Some reenactors resting at the Minnesota monument at Gettysburg. The Last Full Measure, 1st Minnesota Regiment at Gettysburg by Keith Rocco. "General Winfield Scott Hancock, commander of the Union Second Corps was trying to avert a disaster on the Union center. The exposed Third Corps was overrun and fleeing the battlefield, with the victorious Confederates in pursuit. This breakthrough opened an avenue to the Union rear that threatened the whole army. Hancock needed men to buy him time to bring reinforcements up to plug the gap in the Federal line. The general observed a body of men lying in a slight hollow, just behind the crest of Cemetery Ridge, to the left of the cemetery. He spurred his horse to this position. Hancock spied Colonel William Colvills 1st Minnesota Infantry, 1st brigade, 2nd division, Second Corps. These men were in reserve, but they had been watching the battle unfold through the dense clouds of gunsmoke that clung to the ground on this sultry summer day. The 1st Minnesota was understrength, shouldering but 262 muskets this day. The regiment had been bloodied on every field, from First Bull Run through Chancellorsville, and was further weakened by detachments. This single, undermanned regiment was the only Union force at hand. My God! exclaimed Hancock when he saw them, Are these all the men we have here! What regiment is this? he demanded. First Minnesota, replied Colvill. Charge those lines, Hancock ordered, pointing in the direction of the Peach Orchard and Plum Run. Hancock and Colvill looked at each other, Hancock knowing what he had ordered and Colvill realizing both the necessity and the grim implications of it. Forward, double-quick, Colvill barked to his men. With bayonets fixed, and rifles at right-shoulder shift, the 1st Minnesota charged down the slope toward Cadmus Wilcoxs Confederate brigade, which was then reforming its lines in the marshy terrain along Plum Run. The Minnesotans advanced along a hundred yard front, with both flanks in the air. Losing men at every step, they continued forward. As the Federals neared the enemy, they leveled their bayonets and charged. The ferocity of this assault stunned the Confederates, driving back the first line of defenders, staggering their advance. Then, as both lines steadied, they exchanged volleys at a distance of thirty yards. Though his line continued to melt away, Colvills Minnesotans traded their lives for the precious minutes Hancock required. In just fifteen minutes it was over. 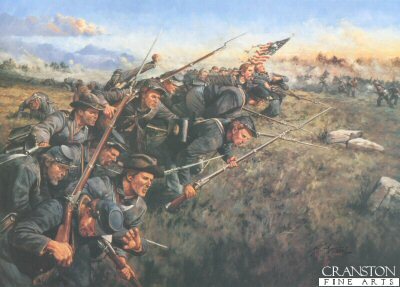 Only 47 men, commanded by a sergeant, rallied to the 1st Minnesotas banner. 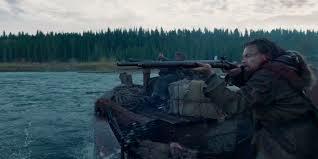 Two hundred fifteen of their comrades, all of their officers, including Colvill, lay on the field."